At CEBIT 2018, everything is geared to generating business, leads and bright ideas. CEBIT is a triple-punch event covering everything essential to the digitization of business, government and society. The innovations on display in the d!conomy section of the show give IT professionals and decision-makers, trade and the public sector the tools they need to streamline and futureproof their operations. The event’s d!tec showcase puts the spotlight on developers and startups. The d!talk conference program features visionaries, lateral thinkers, creatives and experts . The d!campus is heart of CEBIT –relaxed networking, street food and live music. 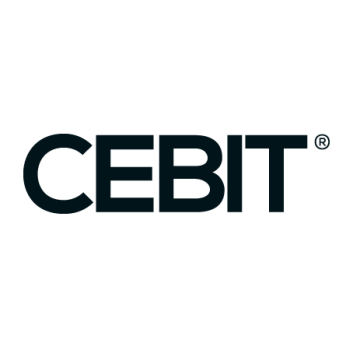 The first day of CEBIT 2018 – Monday, 11 June – is reserved for conference attendees and journalists, with the exhibition opening on Tuesday, 12 June. The exhibition halls will be open Tuesday through Thursday from 10 a.m. to 7 p.m., with the d!campus staying open till 11 p.m. Opening hours on Friday are from 10 a.m. to 5 p.m.
Volume sports is a challenging but rewarding segment of a photographer's portfolio and is quickly growing in popularity. The team behind the popular SYNC portrait photography conference has put together a specialty event for sport, schools, dance and volume photographers. SYNC Sports 2019 is held at the newly renovated DoubleTree by Hilton in Cranberry Township just north of Pittsburgh, Pennsylvania. The print industry’s signature event will feature an incredible array of printing equipment and technology and 80+ educational sessions including hands-on labs, creating the nexus of critical business-building and networking that drives revenue growth across the industry’s entire $80 billion value chain. Produced by the Association for PRINT Technologies (APTech), the industry’s signature event is enjoying robust growth in the number of qualified buyers as well as an increase in the number of unique daily visitors and first-time attendees. PRINTING United is a brand-new event and joint-venture, co-owned by SGIA and NAPCO Media, and it will launch in Dallas, Texas, October 23–25, 2019. Ford Bowers of SGIA will serve as PRINT United’s CEO, and Mark Subers of NAPCO Media will be its president. PRINTING United will focus on the opportunities presented by the convergence of printing technologies and markets. PRINT United will have a broader range of printing and finishing technologies and media on the Expo floor, covering industry segments from garment to graphic, packaging to commercial, and industrial. The objective of PRINT United is to convey all the components of an integrated solution to satisfy virtually any client need. Designed for professionals in the photographic and imaging industries as well as enthusiasts, PhotoPlus Expo -- http://www.photoplusexpo.com/ -- showcases the latest advances in photography, digital imaging and filmmaking. Held annually at the Javits Convention Center, attendees have the opportunity to explore an inspiring array of photography and imaging products and services - all from the industry's leading manufacturers. The show also offers seminars and intimate Photo Walks and Master Classes taught by world-renowned experts that focus on cutting-edge innovations and techniques. It's the longest-running photographic conference, tradeshow, and exhibit in the USA, drawing 10,000 working photographers each year. Dating back to 1880, the event is always growing and evolving to help photographers become better artists, grow as entrepreneurs, and be inspired to do and be more. Imaging USA is hosted by Professional Photographers of America (PPA) - the largest international nonprofit association serving working photographers. Almost as long-lived as photography itself, PPA gives 30,000+ pros protection, resources, and education to help elevate their art and their business , while teaching them how to close the gap between what they do and what consumers want. SYNC, The Main Event is a portrait photography conference with a balanced mix of classroom-style education, hands-on learning, and interactive & inspiring experiences. Approximately 500 industry creatives nationwide gather annually and have become a part of the SYNC family. The educators, mentors, and attendees are a perfect blend to challenge and help each other strive for the next level with a healthy balance between life and business.